Developed through decades of practical field experience with hundreds of trainers and hundreds of thousands of dogs, the Bark Busters dog training philosophy is based upon five core principles. 1. Dogs are a unique subspecies whose behaviour can best be explained in dog terms. Canis lupus familiaris (the dog) is a complex creature evolved with and by humans for some 15,000 years. Dog owners often find it difficult to relate to dogs without anthropomorphizing; researchers find it difficult to study dogs of their own accord, without comparison to wolves or other species entirely. This creates both a conflict over "which" theories should hold sway, and whether one truly can. Bark Busters believes that our vast set of practical knowledge has produced a working model for dog behaviour that is more functionally complete than narrow academic findings, and has more predictive validity than common folk theories. As students of dog behaviour, we respect and apply relevant findings in the latest research to bridge the gap between academic findings and household application. 2. Undesirable behaviour is a symptom of an underlying cause, not a problem of itself. Therefore, training solutions must account for the precipitating factors of a dog's choice, not simply the proximal components of the behaviour. Many behaviours can be changed by simple conditioning. However, in many circumstances, if the impetus for the behaviour has not changed, the problem will not resolve and symptoms will recur, or new ones will develop. 3. Dogs are social animals and interpret most behaviour according to their social context. Many behavioural issues can be traced to pack dysfunctions, while many solutions are created through pack re-organization. How the overall training regimen affects the dog's assessment of the pack is of primary importance in creating sustainable results. What is it like to be a dog? Certainly dogs and humans have much in common, however, significant differences remain. We look and act differently. We perceive the world differently too. An integral element of dog training is how a trainer communicates, which is a primary determinant on whether or not he will be understood. Bark Busters structures our communications with this in mind. 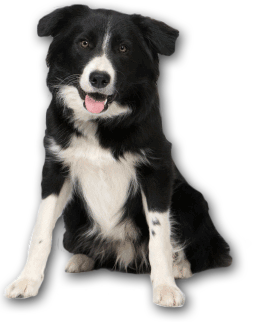 With body language, voice tones, timing, and sequence we replicate the canine communications model. By doing so, we foster better understanding, and therefore, more complete learning. 5. The training tactics we employ emulate the same tactics dogs use to train each other. There is no better standard for canine education than that which dogs are predisposed to use and understand. Contrary to common assumptions, dogs do not typically use pain or fear to communicate with each other, so the Bark Busters training approach doesn't either. Additionally, dogs learn through a number of processes, operant conditioning, classical conditioning, inference and imitation are chief among them. The Bark Busters training tactics take advantage of all of these learning processes in a dog-friendly way. At Bark Busters - without physical force or cajoling - we use measured and responsible techniques to take advantage of dogs' full intellectual capabilities.